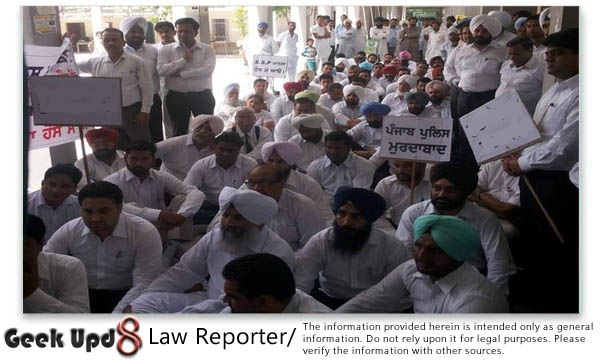 The Bar Council of Punjab and Harayana has called upon all the Bars throughout in the State of Punjab to abstain from work on 10-05-2016 in a peaceful manner in support of the cause of the DBA, Fazilka against the inaction of the police in the matter in assualt on president DBA Fazilka. This message was delivered to all the advocates as an appeal to all the bars by the Hon'ble Chairman of Punjab and Haryana Bar Council, to abstain from work to stand in the support og District Bar Association, Fazilka. And in response to this call, various bars including Bathinda Bar, Mansa Bar and various other bars have abstained from work.